Unlike other stimulants the ginseng tea is purely natural and can overcome fatigue and increase the resistance of your body. 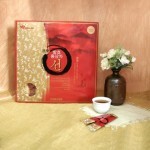 Just one or two cups of ginseng tea a day help to recharge the energy. Ginseng teas contain crushed powder of red ginseng root and represent a very friendly and popular way of using this plant. Try to get a cup of tea after lunch, instead of coffee. Ginseng extracts are the most effective product of ginseng. It is always 100% extract of Korean red ginseng root, which may be enriched with a certain ratio of the fermented extract. Thanks to fermentation, our organism is able to accept the maximum amount of ginsenosides (active substances) that would otherwise partially exclude unused. The extract counteracts fatigue and stress. 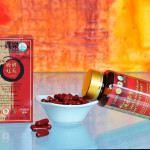 It supports immunity, improves blood circulation and the production of red blood cells. Regulates blood pressure, reduces blood sugar and cholesterol. It improves your memory and encourages sexual potency. 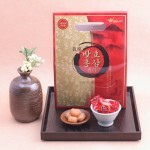 Sweets containing ginseng are an excellent supplement not only for small children. Sweets contain a concentrated extract of six years old red ginseng and thus have similar effects as other ginseng products. For anyone who does not like the bitter taste of ginseng extract, or needs to take his regular dose of ginseng comfortably in the office or on vacation, the capsules are the best choice. They will help you to get rid of everyday stress and fatigue. 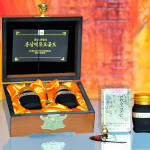 After two weeks of use you will feel the beneficial effects of Korean ginseng. 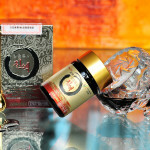 Capsules contain the extract of the six years old red ginseng and take care of your physical and mental balance. These all-natural beverages that are extracted from the root of a six-year Korean ginseng helps overcome fatigue, stress and headaches. They are a suitable substitute for other energy and isotonic drinks, and surpass many other common stimulants (f.e. caffeine, taurine … etc.). Ginseng Drinks are recommended to people with high mental and physical exertion or high workload. Powder of Korean Ginseng is a natural product made from six-year old ginseng root, which helps replenish stamina and overcome fatigue. 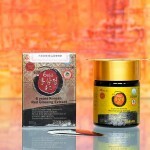 This product is obtained by grinding the root without any other additives. 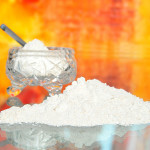 Ginseng powder is usually diluted in warm or cold water. You can also use it as an ingredient for cooking, food preparation, such as spice, etc. The roots of six-year old ginseng can be processed in different ways. We offer whole ginseng roots marinated in honey or honey fine slices. The slices have a delicious sweet flavour and are also suitable for small children. Honey sliced ginseng wards off fatigue and supply the body with energy. They also help against travel sickness. Try just one slice before travelling.